Envelope #10 White Wove 9.5" x 4.125"
#10 Envelope, 24lb White Wove, 9.5" x 4.125"
High quality and affordability are the hallmarks of our #10 Envelope, 24lb White Wove, 9.5" x 4.125”! 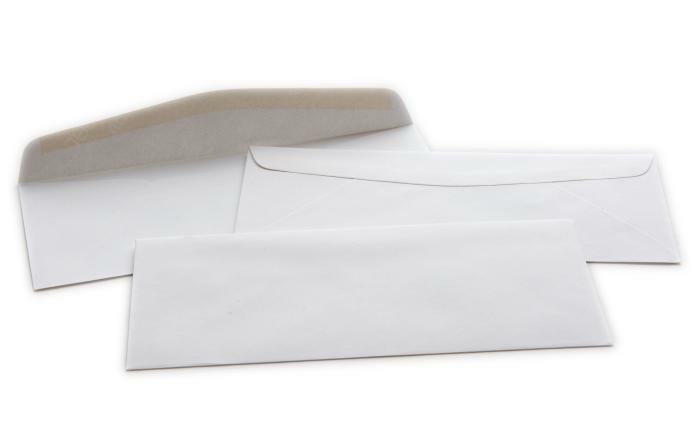 This blank, correspondence-style envelope is suitable for all kinds of personal or business applications. In addition to fitting letters and invoices, it comfortably fits all of the event tickets, gift cards, and VIP passes sold on TicketPrinting.com. Find the blank envelopes you need at a great price on TicketPrinting.com.